The first step in becoming a CELTA qualified language teacher usually begins with choosing where to study the course. There are currently over 300 CELTA centres in 54 countries worldwide so you have plenty of choice. 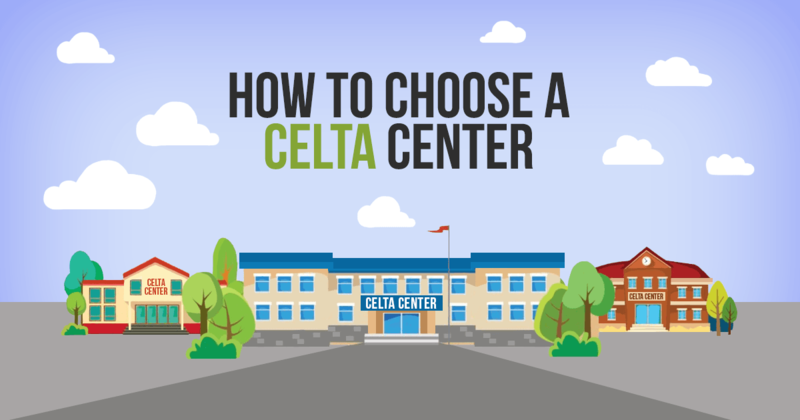 Based on my own experiences, I’ve published some free tips on finding a CELTA centre that is right for your needs. Finding somewhere suitably local is obviously the main refining factor when choosing a CELTA centre. There’s plenty to choose from within the United Kingdom, but the choice of CELTA centres can be very limited in other countries. This is the easier route if you are living in the United Kingdom. There are over 100 authorised schools offering the Cambridge CELTA award, across England, Scotland, Wales and Northern Ireland. Most major cities will have a choice of at least 2 to choose from. London has over 25! Finding a Cambridge-authorised CELTA provider in other countries can be more difficult, with many only offering a single centre. More can be found in the English-speaking countries such as USA, Canada, Australia and New Zealand. Unless you live in one the main cities of your country, studying the CELTA means you’ll probably have to choose between the part-time course or the new online course. The only other alternative is to put your life on hold for a month and find somewhere to stay near the CELTA centre, such as a friend’s house. Some of the full-time CELTA centres offer accommodation while others usually have deals with local places to get you a good price. You intend to take the CELTA whilst on vacation, student exchange or gap year travelling. As with above, the fact you intend to take your CELTA course will play a significant role in which city you decide to travel to. For example, if you’re planning to tie in a 4-week intensive CELTA course with a trip to China, you’ll be forced to spend a month in either Shanghai or Beijing. This isn’t usually a huge problem, as most gap year students choose to visit the capital cities as they are serviced by international airports. There is absolutely no connection between the cost of the CELTA course and the quality of the training. Many language schools are operated as profit-led businesses (which is fine by me) so they may add a premium to the CELTA course price, but remember they are all teaching the same Cambridge ESOL syllabus. Apart from a few cheeky schools, there’s not that much variation in prices. Most CELTA courses cost between £1,200 – £1,400 (~$1,920 – 2,240). Included in this price Cambridge charge about £100 (~$160) per candidate and VAT is usually added on top of everything too. If finding a suitable location does not reduce your choice of centre to one, then reputation should be the main driving factor in making a decision where to study the CELTA. I chose my CELTA centre on word-of-mouth; someone very close to me recommended the school and tutors very highly, and she told me I would learn new skills that would help me in my future TEFL career (as opposed to just getting a necessary qualification). I could probably have saved £50 and I could certainly have found a closer centre, but the more I thought about what she said, the more it made a lot of sense. After graduating the CELTA course I now know she was absolutely right – unlike many industry-gateway qualifications that are little more than a piece of paper to get your foot in the door, the Cambridge CELTA course is designed to actually give you a fighting chance of surviving your first year of teaching armed with helpful skills, methodology, understanding and lesson practice. So my advice is to find genuine recommendations from TEFL friends, forums and blogs. This advice is worth its weight in gold. Teacher training centres usually come in 2 flavours: those that offer the occasional CELTA course by bringing in an outside tutor when required, and those that live and breathe CELTA every single day. 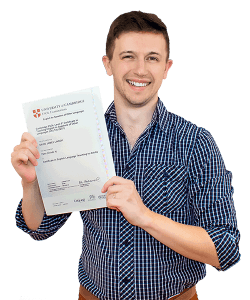 The second type of CELTA centre is obviously going to be able to offer you better facilities, more attentive tutors and the reassurance that they are more familiar with each element of the Cambridge syllabus. Hi! I’m a UK resident trying to decide which CELTA centre I’d like to apply to for a full-time course, and I was wondering if you could point me in the direction of any good blogs or websites that discuss the kind of reputational considerations you’ve mentioned on your page? I’m aiming to get a decent way away from my family so I can focus on the course, which means location isn’t so much of an issue for me and finding some really great tutors is my primary concern! I don’t know of any other websites that go into detail about CELTA centres. I aim to be fair and unbiased so I rarely comment on individual centres unless I’ve had direct experience with them. One centre I do recommend is ITTC in Bournemouth – that’s where I studied and they were wonderful. Good to know! Thanks Dave.